Today Ural State University of Economics held Open Day of Graduate Courses. Future students were able to learn about the main aspects and advantages of training at the USUE graduate courses, as well as prospects for further employment after graduation. 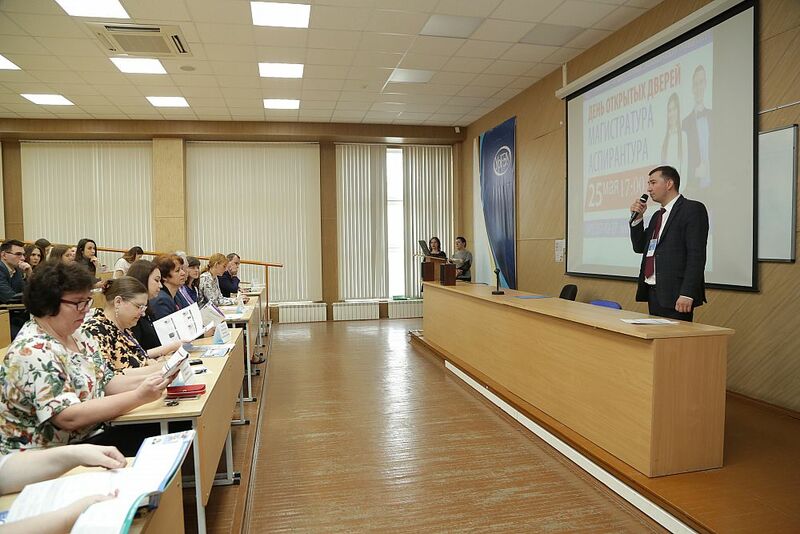 To know about the admission to the master's degree courses of Ural State University of Economics came both USUE students and applicants from other universities in Yekaterinburg. 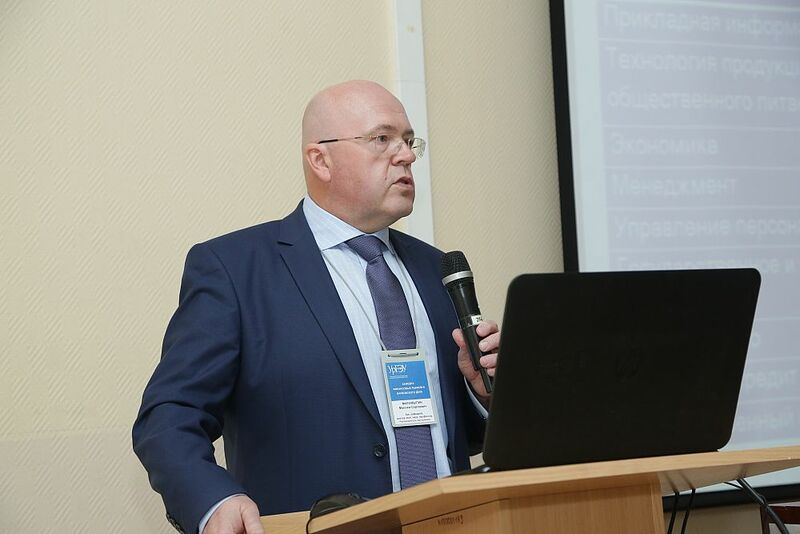 Marina Rusakova, director of the USUE Department of Master Courses, noted, “This year, the USUE graduation courses offered its entrants 36 master's programs in three areas of training. 216 state-funded places are available at Ural State University of Economics, where students can study in three forms of education: full-time, part-time, and extramural ones. The target audience is different: from 22 to 65 years. We will be happy to any entrant regardless of his/her age. According to professional standards, if we look at the categories of employees, then it is the employees with a master's degree and, if possible, with hands-on experience, that are most valued. Graduates of master courses keep high competition in the labor market. Of course, they will be more in demand, since the experience acquired at graduation courses when communicating with teachers-practitioners in business, government agencies, and other areas, helps them acquire the necessary skills by the time of graduation. " A particular attention was paid to the rules of admission to the master courses and postgraduate school, enrolment competition, and possible benefits. 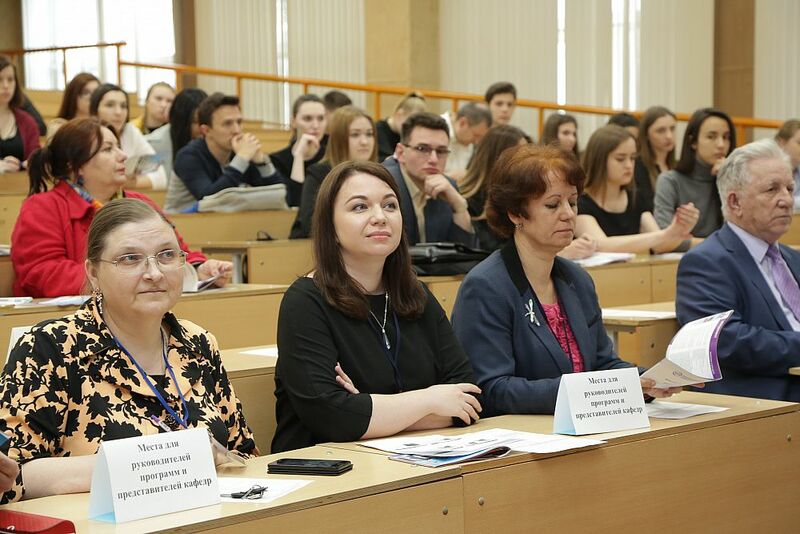 A welcoming speech was made by the deputy executive secretary of the Admission Committee Natalya Bylinina, "We are happy to welcome all those present at the Open Day of Graduate Courses at Ural State University of Economics. Today you have a unique opportunity to learn detailed information about the features of training programs and to ask questions." The participants of the Open Day learned about admission procedure. There are both state-funded places and fee-paying places for training. The Admissions Committee informed about the main deadlines for documents submitting. For the state-funded places, the documents should be submitted from June 20 to August 4. The deadlines for submitting documents for fee-paying places are the following: full-time and part-time training: from June 20 to August 24, for extramural training, the deadline extended until October 26. For admission, a future master student, need to bring to the admissions committee a document proving his/her identity and citizenship, a diploma of higher education (bachelor’s or specialist’s degree), and (if available) documents confirming individual achievements. Besides, all applicants will have to pass entrance examinations in the chosen area of training, which consist of some tests and an essay on a given topic. The specialists of the Admission Committee noted that all nonresident students would be provided with a hostel for the duration of the tests and training. As part of the Open Day, there were presentations of master's programs in the training areas of Economics, Finance and Credit, State Audit, Management, HR Management, Commerce, and others. "Marketing and Branding " involves the development of sales skills for future graduates and trains advertising specialists, brand managers, and sales managers. Marketing strategy of brand promotion is one of the leading directions of this training area. 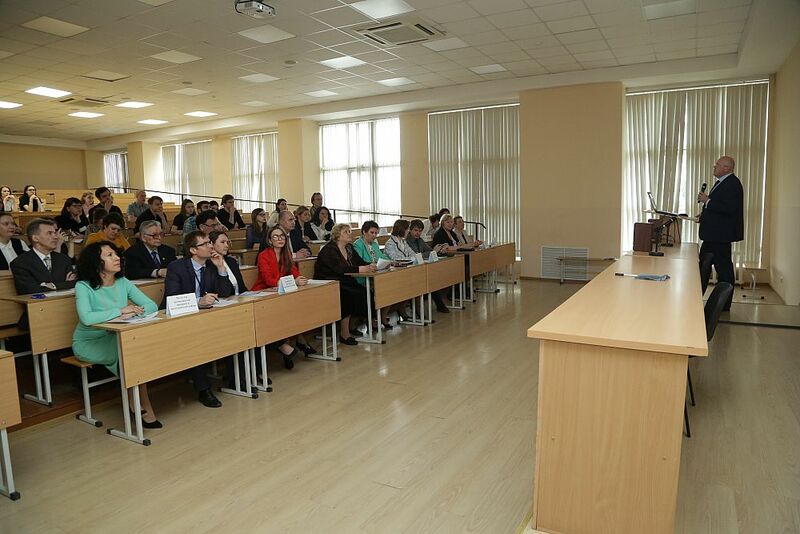 As Larissa Kapustina, the chair of the Department of Marketing and International Management, noted, "The training combines academic education and practice-oriented one". "International Management" is a program that is fully taught in English. During the training, students will be able to develop their foreign language skills, as well as to undertake internships at foreign companies. 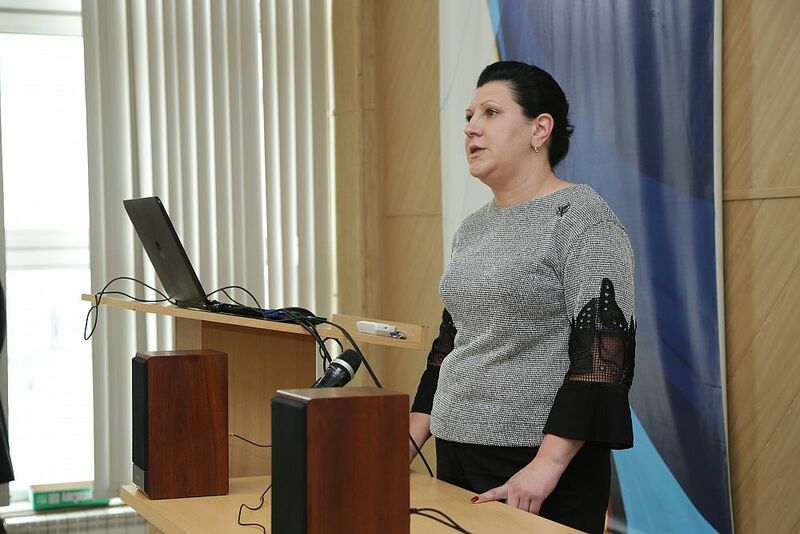 Elina Zakirova, the chair of the Department of Financial Management, spoke about the peculiarities of master program "Financial Monitoring and Risk Management". This is a practice-oriented area of training that prepares professionals in the field of development and application of financial models for monitoring situations that require decisions, choosing the best solutions in conditions of uncertainty and risk. Students regularly attend public lectures of foreign partners. Nadezhda Necheukhina, the chair of the Department of Accounting, told about what any leader of a large enterprise needs to know. The program "Financial, Managerial, and Tax Accounting, Analysis and Audit" trains high skilled specialists in the sphere of financial and management accounting, tax accounting, internal control, and external audit. Students who pursue bachelor’s degree programs believe that continuing education after obtaining a diploma is necessary. Maria Sharavieva, a USUE fourth-year student majoring in Marketing, noted that she would like to continue education in her specialty in order to gain more knowledge in the chosen field of activity, and also to have advantages in finding a job, but the areas offered for admission are very numerous and it is worth considering all the nuances before making the final choice of the program. 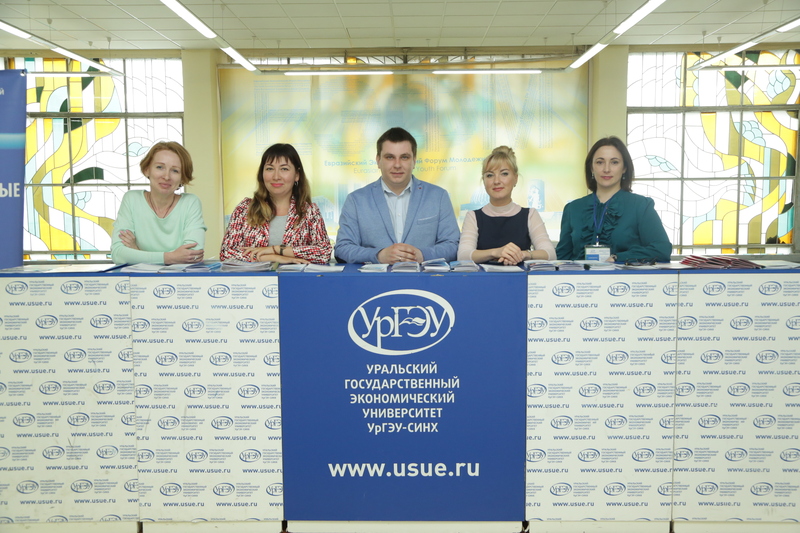 Grigory Vorobets, a student of the USUE Institute of Trade, Food Technologies and Services, also shared his opinion, "Now I am the future USUE master student. I want to enter this University because I like to study here: the teaching staff, educational, and public activities. I plan to enter the master program "Technology of Production and Public Catering". I think that the bachelor’s degree is not enough, because very many my acquaintances studying at the graduation courses, as well as a fairly large number of employers, note that it is not possible to grow and to upward move in career without a master's degree. Master's program opens the way to the future. A visit to the past Open Door Day helped me to find out which stages of the selection are due upon admission. The most difficult, in my opinion, is to learn the necessary material and to get prepared. I think that Open Days are very useful for entrants since it is here that you can see the attitude of teachers towards future students and at Ural State University of Economics it is very positive. In addition, here you can become acquainted with the training programs, find out the necessary information and, possibly, even become interested in other areas." After the end of all speeches, the entrants could ask their questions to the heads of the master's programs and to the chairs of degree-granting departments to learn more about the nuances of training and the subtleties of the selected master's degree programs.